Are you looking for the perfect gift for that special little someone in your life? Baby gifts come in all shapes and sizes, some are simply practical, while some are purely whimsical. It is always fun organising a gift for a new baby whether you buy them or make them yourself! So could you use a few ideas to get you started? If you are not sure where to start on your hunt for the perfect baby gift, check out the New Baby Checklist for some good ideas. Or perhaps you are looking for baby gift ideas that you can make yourself. What was the best baby gift you received when you had your baby (or babies)? Sometimes the best gift is not the one that most would expect. Are you looking for cheap baby gifts? Bearing in mind that what you define as cheap is not necessarily the same for anyone else! Announcing the imminent arrival of a new baby can be very exciting for prospective parents, and sometimes blurting out 'I'm pregnant' to family and friends just will not cut it. That's where clever or creative baby announcement gifts come to the fore! Do you have a question or a comment you would like to make about this site? Just use the contact me form below to send me an email! 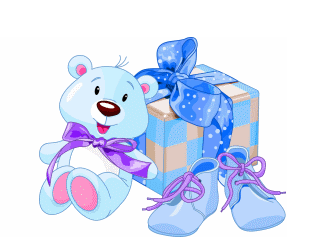 Would you like to share your knowledge about baby gifts? Great, find out how you can submit your story or tip here.